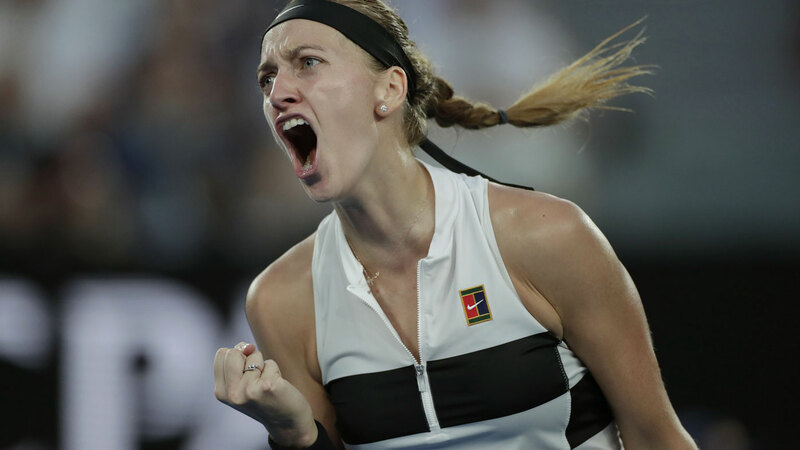 Petra Kvitova stands on the precipice of pulling off one of the biggest comebacks in tennis three years after being stabbed in her home by an intruder. The Czech star will face Naomi Osaka in Saturday’s decider after defeating American Danielle Collins in straight sets, yet reaching another Grand Slam final seemed a world away following the random attack. The Wimbledon winner’s left hand was injured in the 2016 incident when a knife wielding thief slashed her, with doctors casting doubt whether she could play tennis again. Kvitova admitted she had doubts over her playing days at the time. “Well, to be honest, I’m still not really believing that I’m in the final,” Kvitova said in her post-match press conference after win over Collins. “It’s kind of weird, to be honest, as well, that I didn’t know even if I gonna play tennis again. “Yeah, it wasn’t really nice time to be dealing with everything. It wasn’t only physically but mentally was very tough, as well. “It took me really while to believe, to the people around me again, and especially to the men, for sure. There’s plenty up for grabs for the 28-year-old if she can overcome Osaka in the final. The Czech star could supersede Simona Halep and grab the world No.1 ranking with a win in the final. She could also become the first Czech to win at the Australian Open since Hana Mandlikova in 1987. If she were to be crowned champion at Melbourne Park, it would arguably be the biggest come back in the sport since Monica Seles won the tournament in 1996. Seles too was a victim of a random stabbing, although the Yugoslavian champion random attack occurred on the court by a crazed Steffi Graf fan during quarter final at Hamburg in 1993. Kvitova said she met Seles last year after the former world No.1 reached out to her. “In June I met her for the first time. Actually,she was the one who wanted to meet me, so it was just great and big honour,” Kvitova said. “I find out lately that my doctor wasn’t really happy with my hand during the second month, because the scars were very, very tight and hard, and I couldn’t really do anything with that. “Luckily he didn’t tell me, like, during that period. He waited when he could tell me. “So I think that kind of the mental side was there, and I really need to be strong and not really thinking too negatively about it, but of course those thoughts were there, as well. Kvitova takes on Osaka in the final on Saturday, with the Japan star aiming to become the first woman to win successive Grand Slams since Serena Williams in 2015.